For a Game I use to Relax, The Sims 4 can Sure be Stressful. Rowan Evans in Editor's Picks Gaming Lifestyle on 19 January, 2019. The Sims is a series I’ve come back to again and again… and again. Since first laying eyes on The Sims: Deluxe Edition, these life simulators have had me hooked. The Sims 4 is another great iteration of these games and, yet again, I can’t get enough. But honestly, even the calm quiet of Willow Creek can get a tad too much for me. It’s simultaneously the most refined entry in the series and the most stressful. 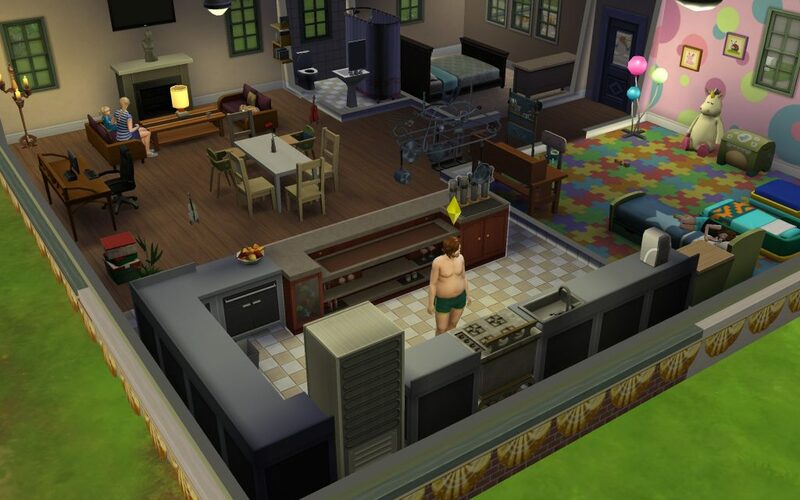 Forget Dark Souls – try a no-cheats game of The Sims 4. Only then will you experience true pain. Before I get too vague, let me explain: why is it so stressful? Well, it’s not merely one big thing. It’s lots of little things building up to a tumultuous cacophony of panic. First of all, the household furniture loves to break all the time. Every day the toilet starts spraying everywhere – what are these Sims doing to it? It might be to do with angry pooping, but I digress. Every day without a destructive bathroom trip is a day to celebrate in my books. Another thing. Kids will, almost every night, get woken up my an imaginary monster under their beds. The adult Sim then has to get up, and spray this thing before the little tykes will sleep again. To be fair, at least my childhood wasn’t punctuated by a tentacled creature waking me every night. I feel bad for Sim kids in a way. Oh, and god forbid you end up with three toddlers at once. You would think looking after virtual tots wouldn’t be so bad. You would think wrong. I swear, I didn’t go back to my game for weeks at the thought of having to deal with them. I’m not saying that all these things make the game bad. Somewhere in that sea of stress is a game I love. But if I was to recommend anything to new players I’d say to have one kid. Or, better yet, none at all! Let me continue my tales of Sims stress with one of the most bizarre catastrophes ever to behold my humble household. After a long, and not so fulfilling life, the family patriarch died of natural causes. The family, evidently, was distraught. 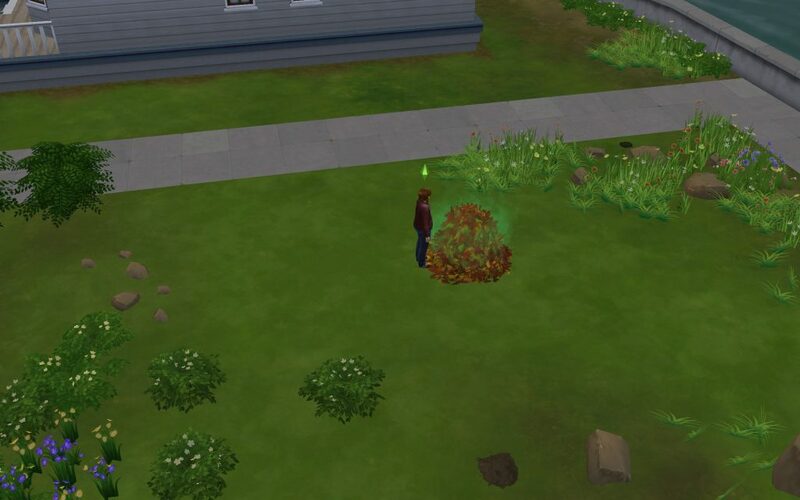 Mourning is never nice, even in the cartoon world of The Sims. All this happened while the whole family were all going through their own personal crises, so yeah I was annoyed. Even the cat was suffering, laying round in its own poop all day. This is all to say that even in its moments of stress, The Sims 4 is still quirky in its own head scratching ways. A lot of these things feel like they are getting in the way of, you know, actually playing the game. Sometimes I just want to make an engaging life story for my Sims, not be interrupted by interloping spirits and crumbling furniture. 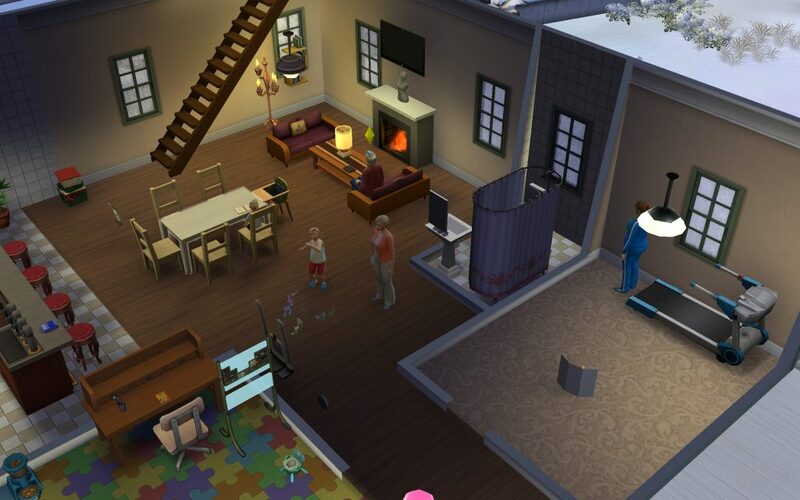 In complicated the simple things, The Sims 4 can often be too chaotic for its own good. Yet this chaos feeds into my enjoyment of this game somewhat. I’m both stressed out of my mind and having a great time. If any lesson is learnt here, It’s that – despite my annoyances – I wouldn’t change a thing about this game. If the game wasn’t a barrage of stressful ridiculousness I wouldn’t enjoy it as much as I do. And I’d also not have been able to write this article. So, all being said, I’d like to thank The Sims 4. You stress me the hell out, but I won’t be leaving you any time soon.